VAUD & THE VILLAINS @ Fais Do-Do: Put the little ones to bed, sugar, and let your hair down. Brothers and sisters, if you love swamp and swagger, put on your bowlers and your high-heeled shoes and make tracks for Fais-Do Do where Vaud & the Villains will be making some kinda noise with their horn-heavy, eighteen-piece, Prohibition-era, New Orleans shimmy-shake. “May Day” means a life-threatening situation like a fire, explosion or sinking. You very well might be tempted to shout it out your own self when Vaud Overstreet, his good time band, and his dancing girls wring you out and hang you up to dry on Saturday in the intimate, Art Deco purlieus of Cafe-Club Fais-Do Do in the old Sugar Hill neighborhood of West Adams. Tuck into some tasty Cajun cuisine, cozy up in a red leather booth with a glass of wine and your best (or newly met) sweetheart, or cool your fevered brow on the dance floor with one of the many beers on tap. 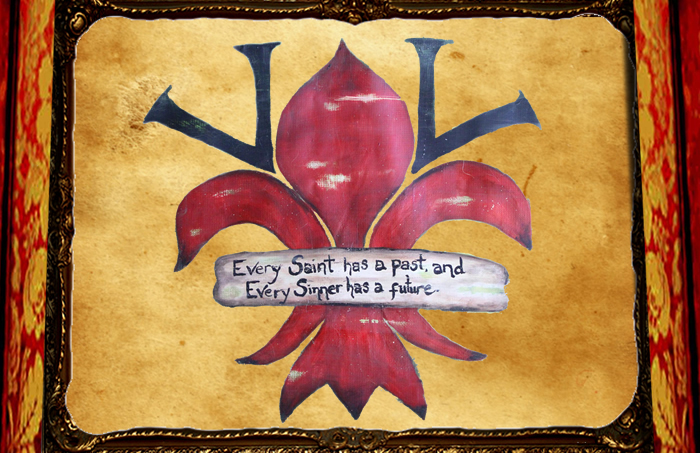 Vaud & the Villains’ credo is, “Every Saint has a past and every sinner has a future.” When you and the night curl up to sleep in the wee hours of the morning, you’ll surely know which one is you.